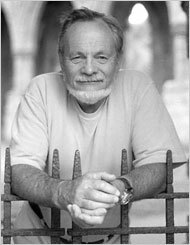 Brian M Fagan, now an author of general archaeology books, once focused his work around African archaeology. Fagan was born in Birmingham, England on August 1, 1936. He spent most of his childhood on the southeastern side, where he learned to sail at a very young age. He received his primary and secondary schooling at Rugby School – a co-educational boarding school. Soon after, Fagan studied archaeology and anthropology at Pembroke College in Cambridge. From here he earned his Bachelors degree in 1959, his Masters degree in 1962, and his PhD in 1964. Fagan spent 6 years as a keeper of a museum in Zambia while also making time to excavate farming villages. After his time excavating he was offered a position to lead fieldwork at the British Institute in Eastern Africa in Nairobi, which ultimately turned into almost 40 years of teaching. After retiring, Fagan still spends time writing books as an independent scholar. 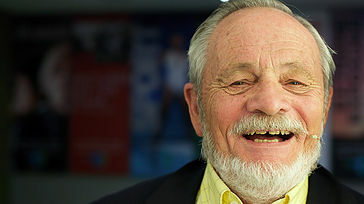 Fagan spent a lot of his archaeology career in Africa studying the history and prehistory in Rhodesia. In the early 2000’s, his research was closely tied with the synthesis and interpretation of world prehistory. Before the 1950s, this field did not exist, as radiocarbon dating was not yet established as a way of dating. However, his future research will continue to be in the area of world prehistory. 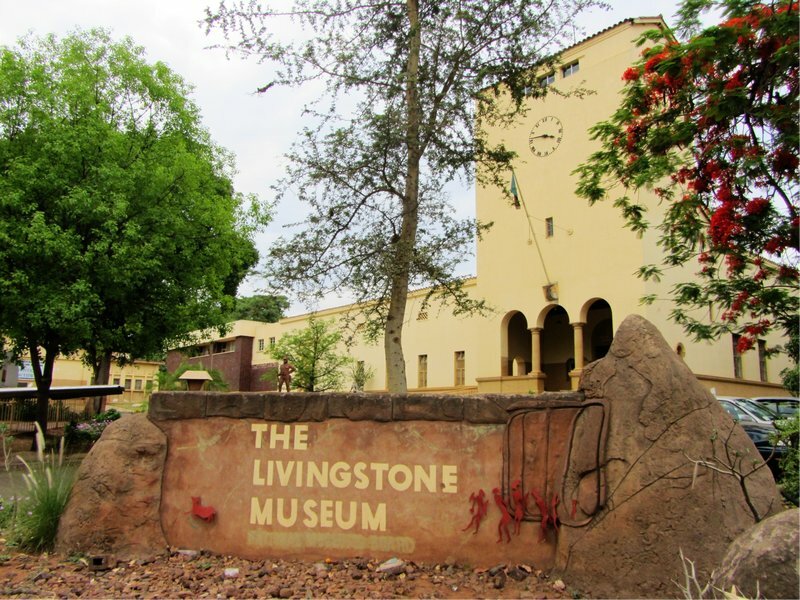 Image 3 - Livingstone Museum, where Fagan worked as a keeper of Prehistory for 6 years!. After finishing out his education at Pembroke College, Fagan served as Keeper of Prehistory at the Livingstone Museum in Northern Rhodesia, which is now Zambia from 1959-1965. Here he was involved in upkeep of the museum as well as monument conservation. Along with working in the museum, Fagan also worked in the southern part of Zambia excavating 1000-year-old farming villages! Through his work here, he was deeply involved in the advancement of multidisciplinary African history. In an interview with the Society for California Archaeology, Fagan reflects on some of his most memorable times as an archaeologist. He vividly remembers working in Central Africa in 105-degree weather conducting a rescue dig. He also shares some of his most memorable visits as: Macchu Picchu, Easter Island, Angkor, and Petra! After his years excavating, Fagan was offered a position as Director of a 3-year project on the British Institute in Eastern Africa in Nairobi. Fed up with the life of fieldwork, he decided to cut his involvement in the project 2 years short, which lead to the next chapter in his career. After cutting his time at the British Institute short, Fagan was offered a position as a Visiting Professor of Anthropology at the University of Illinois from 1966-1967. During this year, he thought about giving up archaeology completely. He became to realize that he was most likely never going to return to his studies in Africa. But, instead of just retiring, Fagan decided he no longer wanted to be an African history guru – but rather spread knowledge about general archaeology to students and the public. 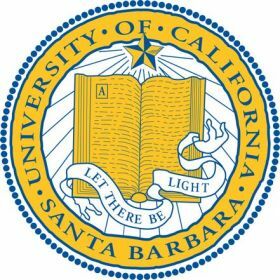 Image 4 - Univeristy of California, Santa Barbara logo. After the year at the University of Illinois, Fagan was offered a position as a Professor of Anthropology at the University of California, Santa Barbara. He worked there from 1967-2003. Upon his arrival, he was to teach an introductory archaeology class to about 300 students. He had a hard time finding a good introductory textbook. By change, Fagan was able to meet with an editor and was given an opportunity to write his own book. It took 5 years but in 1972, In The Beginning appeared on bookshelves. This book alone has 13 editions and is still circulating today. Although not widely talked about, Fagan also taught for a short time as a Visiting Professor at Whittier College and the University of Cape Town, South Africa. Ultimately in 2003, Fagan retired from teaching to become a full time writer and independent scholar. Editing and revising his multiple textbooks that are still in circulation take up much of the time that Fagan has, but he does occasionally make time to visit colleges and guest lecture! Brian Fagan has received a great amount of recognition throughout his years. In 1996, he received the Distinguished Service Award from the Society of Professional Archaeologist. This award is given to an archaeologist who has dedicated their life to the field of archaeology. Also in 1996, Fagan received the Presidential Recognition Award from the Society for American Archaeology. The award is given to an archaeologist who has provided extraordinary services to the society and the profession in the past year. Awardees are determined by the president of the society, in consultation with members of the Executive Board. In 1997, Fagan was awarded the Public Education Award from the Society for American Archaeology. This award began in 1996 to recognize outstanding contributions to improved public understanding and appreciation of anthropology and scientific archaeology. In the academic school year 1999-2000 at University of California Santa Barbara, Fagan received the Distinguished Teaching Award. He earned this award because he had a great impact on his students and created a scholarly environment in which a variety of students were able to succeed. As stated by an interview conducted by the Society for California Archaeology, Fagan’s father was an author, so he had a love of books at a young age. His love and interest clearly carried over into his adulthood as he currently has 46 books, which includes 8 college textbooks! Image 5 - In The Beginning, Fagans first college textbook, published in 1972. 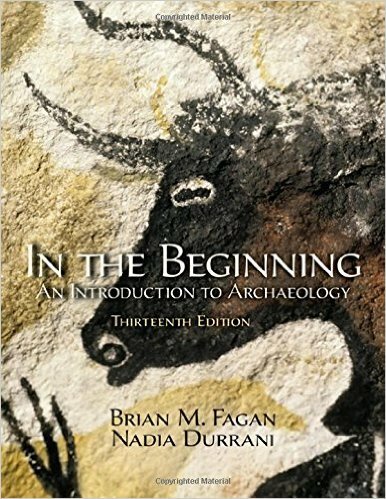 When Fagan was first a professor at Santa Barbara, he had a hard time locating a good introductory book for his intro to archaeology class. As a result of this he worked on In The Beginning and after 5 years it was finally published in 1972. This book has been in circulation long enough to have 13 editions, the latest being published in 2013. He also has a book, People of Earth, which is a textbook about world prehistory. The book first appeared in 1975 and is now in its 14th edition, the latest of which also being published in 2003. He has been the author or co-author of 6 more college texts books, but these two are his most notable. To start, Fagan’s earliest book and also his best seller, The Little Ice Age: How Climate Made History 1300-1850, was first published in January of 1954! This book tells the story of a 500-year span in European history of unpredictable harsh and frigid weather and how it altered human lifestyle and ultimately affected Norse exploration. Fagan explains that the increasingly cold temperatures caused a change in sea temperatures and allowed fishermen to follow shoals of cod to the New World. Fagan also touches on how efforts by the English to improve their farm productivity despite the climate change ultimately led to the Industrial Revolution and modern day global warming. The book sheds light on the idea that climate change is a cycle and that the temperatures we see in modern day have been seen before. Published in 2008, The Great Warming: Climate Change and The Rise and Fall of Civilizations talks about the rise in surface temperature that last from the tenth to fifteenth centuries (this book is the final book in his quartet about the history of climate change!) This rise in temperature, similar to what we know as global warming, caused changes in human lifestyles across the entire globe and Fagan touches a little bit on each of the areas. In Western Europe, the climate change allowed for magnificent harvests that helped the population growth as well as cultural growth! Very far north to the Arctic, the tribal sailors were able to travel farther which allowed for a growth in trade. Fagan also explains that sailors all over the world were able to follow new wind and sea patterns which allowed for expansion all over the globe! While these are all great things, Fagan also tells about how the increasing temperatures resulted in a time of drought and famine. In the areas that were negatively affected by the centuries of warmth, such as Western and Central America, civilizations collapsed and cities were left virtually abandoned, as there was nothing left to sustain a population. As in his book The Little Ice Age: How Climate Made History 130-1850, Fagan tells how climate change has everlasting effects on human life. Image 6 - The Intimate Bond, Fagans most recent non-fiction book, published in 2015! The Intimate Bond: How Animals Shaped Human History, published in 2015, talks about the relationship between humans and animals (as implied by the name) since the Ice Age and before. Fagan delves into the story of the first wolf that wandered from the pack into a prehistoric campsite and how the wolf became a companion for the humans that lived in the camp. Fagan also talks about how empires were literally built around horses, donkeys, and camels as they allowed for transportation of goods as well as the movement into new places. Fagan even touches on the industrial age when some animals became commodities and others became pets. The book over all contains six different human-animal relationships. In each of them, the analysis shows just how much of an impact animals have had on the development of human life and cultures. An example in the book is how herding changed human behavior, as we could be sustained in one place because we had a constant source of food. Obviously animals had a great impact on human life and overall this book is great on explaining how animals may have in fact drove human history and development. A lot of Fagan’s books revolve around the climate change and how it affected human civilizations all across the globe. With these books, Fagan sheds light on issues that are still talked about today. But instead of reiterating what people are commonly saying, he brings a scientific point of view in. He reminds us that climate change is a cycle the occurs over many years – we’ve been in times of freezing weather (Ice Age) as well as times of great heat (as mentioned in his book The Great Warming: Climate Change and The Rise and Fall of Civilizations). While a lot of what is happening in modern day society is due to lack of care for the environment, we have to remember that there are other reasons for why the climate is changing. With these books, the legacy Fagan will leave behind is amazing. He leaves behind all of these books that will help not only archaeologists but also the general public learn and be more aware of the past, present, and future as his books talk about things that are still relevant to modern day society. Image 7 - Brian Fagan laughing. Although much of Fagan’s time is taken up by editing and revising books, he still makes the time for hobbies and his family. Fagan enjoys his free time as a cruising sailor, a favorite past time of his since he was 8-years-old! Throughout his life in this sport, Fagan has sailed European and American waters. He’s even sailed on the Pacific Ocean! He has owned a variety of boats and now sails with a co-op yacht club! Apart from his hobbies, Fagan also has a family. He currently lives in Santa Barbara with his wife and two daughters. They also have 2 cats and a myriad of rabbits on occasion. What a life! "About CA Archaeology." Society for California Archaeology. Web. 18 Apr. 2016. "Academic Senate - University of California, Santa Barbara." Academic Senate - University of California, Santa Barbara. Web. 18 Apr. 2016. "Brian M. Fagan." Goodreads. Web. 05 Apr. 2016. "Department of Anthropology - UC Santa Barbara." Brian Fagan. Web. 14 Apr. 2016. "Dr. Brian Fagan - Lyceum Agency." Lyceum Agency. Web. 18 Apr. 2016. Fagan, Brain M. "About Brian Fagan." About Brian Fagan. Web. 14 Apr. 2016. Fagan, Brian M. The Great Warming: Climate Change and the Rise and Fall of Civilizations. New York: Bloomsbury, 2008. Print. 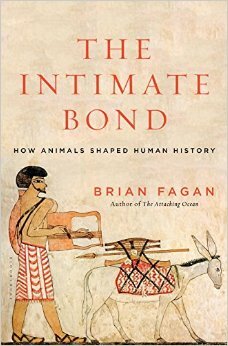 Fagan, Brian M. The Intimate Bond: How Animals Shaped Human History. Bloomsbury, 2015. Print. Fagan, Brian M. The Little Ice Age: How Climate Made History, 1300-1850. New York, NY: Basic, 2000. Print. "Presidential Recognition Award." Presidential Recognition Award. Web. 18 Apr. 2016. "Professor Brian M. Fagan, Ph.D." The Great Courses. Web. 14 Apr. 2016. 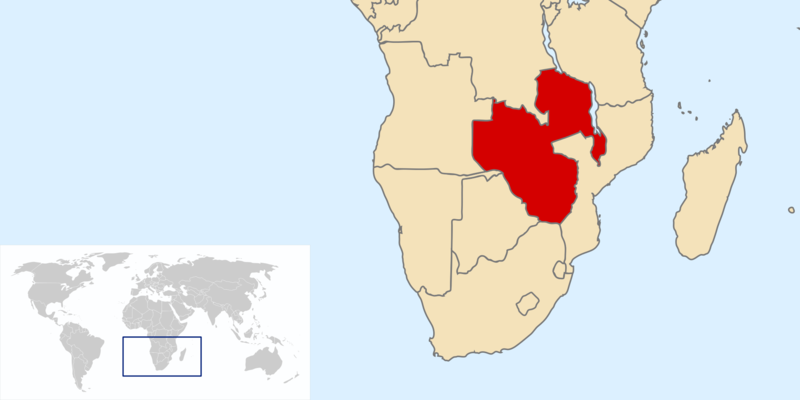 2000px-Location_Federation_Rhodesia_and_Nyasaland.svg.png. Digital image. Northern Rhodesia. Wikipedia, 26 Feb. 2016. Web. 25 Apr. 2016. 515PfzMa2JL._SX327_BO1,204,203,200_.jpg. Digital image. The Intimate Bond. Amazon, n.d. Web. 25 Apr. 2016. 61x3A9l7diL._SX384_BO1,204,203,200_.jpg. Digital image. In the Beginning. Amazon, n.d. Web. 25 Apr. 2016. 6592556-David-Livingstone-Museum-0.jpg. Digital image. David Livingstone Museum. Travelblog.org, 26 Feb. 2016. Web. Colwall-Pasch, Chelsea. E7ff46_cdd2ef8827014521957ed3fa04580d1f.jpg. Digital image. The International Journal of Student Research in Archaeology. N.p., 5 June 2015. Web. 25 Apr. 2016. Newhart, Lesley. Brian-fagan-190.jpg. Digital image. New York Times, Web. 25 Apr. 2016. University_of_California_-_Santa_Barbara_UCSB_642929_i0.jpg. Digital image. Start Class Medical Schools. Startclass.com, n.d. Web. 25 Apr. 2016.